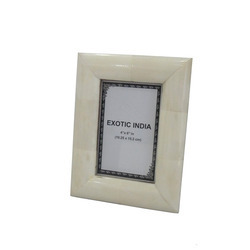 Our product range includes a wide range of white bone photo frame, bone photo frame, horn picture frame, antique bone picture frame, white horn photo frame and carved photo frame. 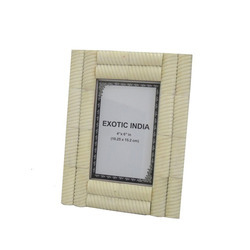 Owing to the vast experience and knowledge in this domain, we have been able to offer White Bone Photo Frame to our prestigious customers. Manufactured from finest quality raw material, these products are commonly used for the purpose of efficient displaying of various photograph, painting, and portraits. Available with us at highly affordable market prices, the offered frame is high in demand in the market for its attractive design and fine polishing. 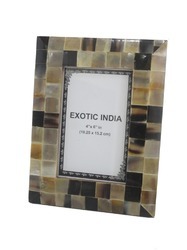 Our organization specializes in offering excellent quality Bone Photo Frame to our valuable customers. Available in all the standard sizes and shapes, the offered products are unique way of displaying photographs, paintings, and portrait in most efficient manner. To ensure high standards of quality, the offered photo frame is manufactured using latest tools and equipment. 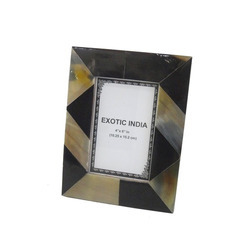 We are one of the prominent organizations that deals in manufacturing and exporting of Horn Picture Frame. 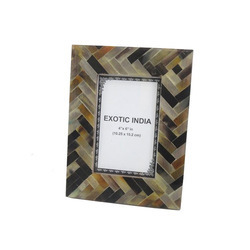 Designed as per international set standards, this frame is commonly used for displaying photographs. 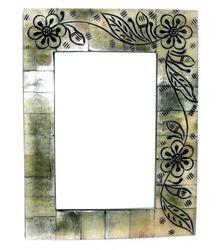 Available in different sizes, the offered frame can be custom designed as per the requirements of the customers. The offered frames are known for their attractive design, elegant appearance, smooth edges, and well polished finish surface. 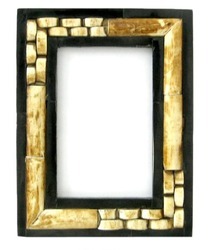 We are offering Antique Bone Picture Frame to our clients. Owing to our vast experience in this domain, we have been able to offer world-class White Horn Photo Frame to our clients' end. Owing to our vast experience in this domain, we have been able to offer world-class Carved Photo Frame to our clients' end. Owing to our vast experience in this domain, we have been able to offer world-class Photo Frame to our clients' end. 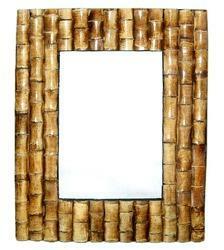 Size 4x6' 5x7" and 6x8"
We are one of the prominent manufacturers and exporters of high quality Antique Bone Photo Frame. The offered frame is commonly used for preserving and displaying different photos, family portraits or wedding pictures. To ensure delivery of zero defect products, these are rigorously checks by our quality controllers on various pre-defined quality assurance parameters. In addition to this, the offered product can be availed in bulk with tamper proof packaging. Looking for “Bone & Horn Photo Frame”?